This updated edition of the classroom favorite confirms its place as the most important systematic theology reader available with a liberationist perspective. Global in its outlook, Lift Every Voice incorporates the voices of North American men and women: Native Americans, Anglos, Hispanics, Blacks, and Asians. Part 1, on theological method, includes a new chapter by Ada Maria Isasi Diaz on love of neighbor in the twenty-first century. Part 2 centers on God and has a new chapter by Susan Brooks Thistlethwaite. Part 3 includes Rosemary Radford Ruether's classic essay on eschatology and feminism. Andy Smith contributes an exciting new essay, "The Spirituality-Liberation Praxis of Native Women" to Part 4, which also includes Mary Potter Engel's much-quoted essay on "Evil, Sin, and Violation of the Vulnerable." Part 5 opens with Mary D. Pellauer's and Susan Brooks Thistlethwaite's classic essay on grace and healing from the perspective of the movement to end violence against women. Part 5 also includes pieces by Carter Heywood and Jacquelyn Grant on christology, and concludes with Sharon Ringe and Kwok Pui Lan's essays on reading the Bible. The careful organization and choice of essays makes Lift Every Voice a valuable book for a wide variety of courses. 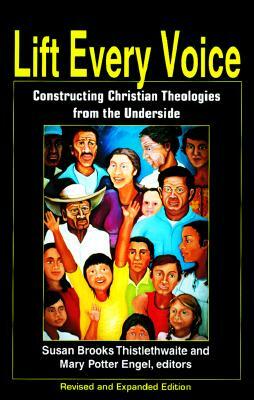 Its breadth and timeliness makes it possible to show the liberationist implications of the classic theological curriculum.